See the VISA logo? Now that is what I call value! It is sad that this privilege of being able to spend the points you earned inside the store to other stores will end. It is an edge that Super 8 has that no other stores have done. To me, it is one advantage that truly rewards loyal customers who buy their daily, weekly, monthly grocery items from the store. The idea is radical and I believe the failure to promote this feature and engage customers to use this new card feature boils down to failure in communications, failure in marketing. By using points earned inside the store, Super 8 will be losing its edge over SM Advantage Card (SMAC) whose dominance hinges on a variety of partners who can give SMAC holders more reasons to get points and use their points in SM stores. SMAC is a very good privilege card, there’s not just a worthy competitor who can give customers an alternative card who can truly win – not just their hearts – but their pockets as well. I’m all for giving customers more value. So why end it? Paano ko makokontak si Ms. Rhea regarding sa super 8 card ko?Tumawag kasi sya sakin before pero d nya ko nakausap..pinapa-call back nya ko pero nawala yung number na iniwan nya sakin..I dont know her full name..Nacurious lang ako bakit ako kelangan tumawag sa kanya..sana matulungan nyo ko!thanks in advance! Sorry po sa late reply. 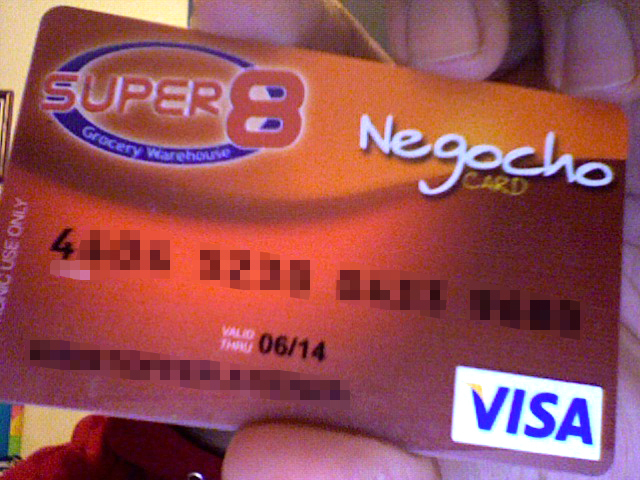 Puwede nyo pong i-check ang phone number ng branch ng Super 8 kung saan po ninyo nakausap ang Rhea na nabanggit po ninyo. Salamat po.